One of my first job assignments as a cooperative education student (Co-op) during college was to learn the local Siemens business phone system. The central phone unit was in an enormous cabinet in the basement of the building. 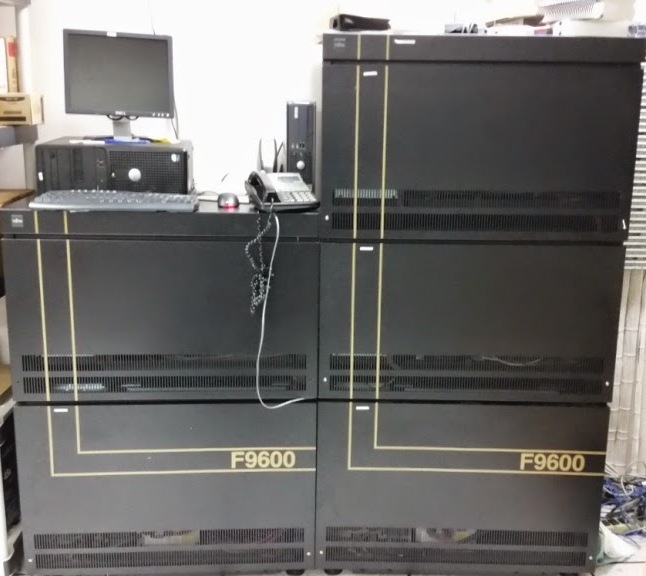 This past weekend I worked with a team at my current job to decommission a Fujitsu PBX that started service in the same time era as my Co-op job. 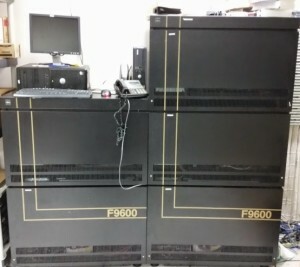 It was also the biggest piece of equipment we had in the computer room. But we didn’t decommission the Fujitsu system because of its age. The unit was still working and providing service. The primary driver to replace the system was cost. The support contract for the old equipment was expensive and newer Voice-over-IP (VoIP) systems offer additional savings by reducing long distance costs. I certainly appreciate all the modern features on the VoIP system, but that was not the primary driver for the change. After the implementation experience, I had time to reflect on what I think will be the future of business phone systems. I observed that many office dwellers are already just setting their desk phones to forward to their cell phones. People are growing accustomed to have a single phone for their voice communication needs and they like it with them and not tied to a desk. So I don’t see the next generation of a business phone system requiring wires, punch blocks, and ethernet switches in the building. Rather I see a desk set that is wireless and talks to a local PBX through wifi. The central PBX in the data center may be replaced with a cellular solution from a provider. For those willing to have their phone service on a subscription and as a tie-in with cloud based data center services, a cellular option will exist for primary business phones. This could appeal to both small businesses and large. Desk phone units could either be cellular or use a wifi connection to a local device at the facility that negotiates the cellular signal with the provider. I see the future of business phone communications systems with less wires, more air based communication, less on-premise equipment, and more portability. Now, I need to work on decommissioning all those old fashion FAX machines. My future dream can’t exist with FAX machines and modems.